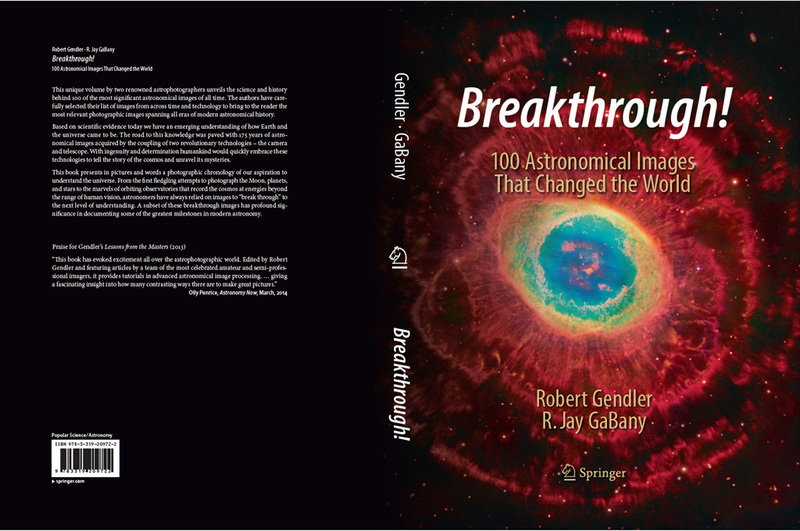 If you even are remotely into astroimaging, you should know about a new book by two great astroimagers, Robert Gendler and R. Jay GaBany. Breakthrough! 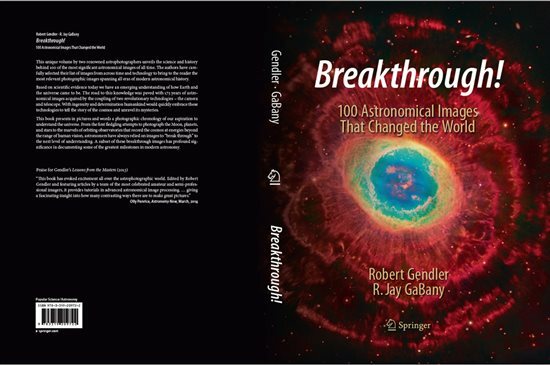 100 Astronomical Images That Changed the World (Springer-Verlag, New York, 2015, 171 pp., $34.99, ISBN 978–3319209722) is a forthcoming title that will give you great pleasure. Reviewing 175 years of astronomical photography, the authors have selected important images that capture the history of our unfolding knowledge of the cosmos. The subjects covered span all of astrophysics, planetary science, and cosmology. There are shots of precise Moon landings, of the Great Red Spot on Jupiter, of galaxy clusters, supernova remnants, and the cosmic microwave background radiation. This is not a book about astrophoto techniques. Rather, the text describes the scientific background of each image, and so there is quite a lot of astronomical history to be read here. This is a really different and special book. I think anyone interested in how we got to know what we do about the universe will be a happy reader of this delightful volume.